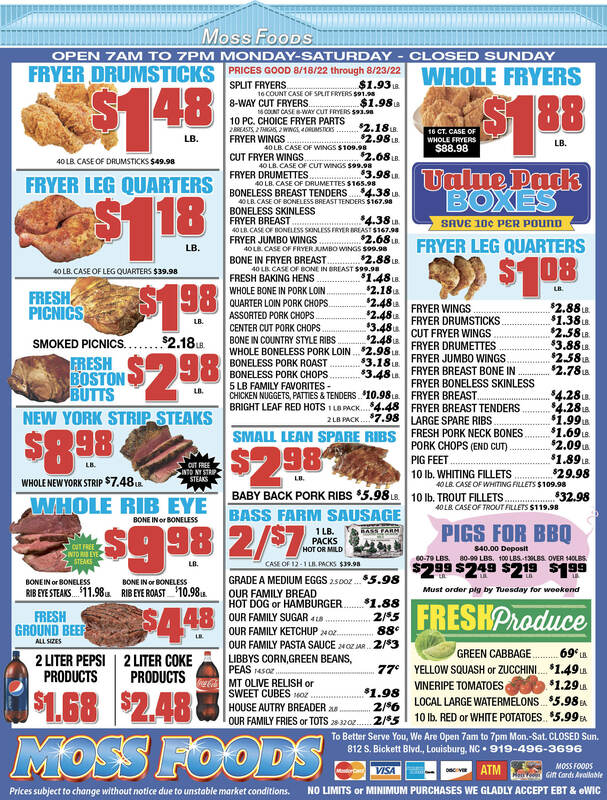 Showing 37 articles from February 1, 2013. LOUISBURG — Franklin County commissioners are set to continue discussions about gun control. However, a resolution awaiting their signature on Monday night is drastically different from the anti-gun control document put before commissioners during its Jan. 22 meeting. That resolution, titled “A resolution to preserve and defend the United States Constitution and North Carolina Constitution,” called upon commissioners to defend the right to bear arms even if the federal government passed gun control laws. Novant Health officials will delay submitting an application to move an operating room to Youngsville, giving the company more time to address concerns raised by Louisburg and Franklin County officials. It was welcome news to town leaders. 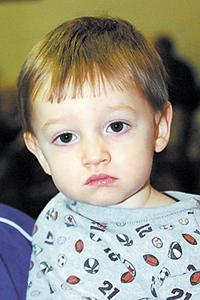 “Hopefully,” said Mayor Karl Pernell, “we can work with the hospital. Newly elected Sen. Chad Barefoot, left, took a tour of Franklin County educational sites and businesses last Friday, getting in a few stops before snow and sleet covered the area. 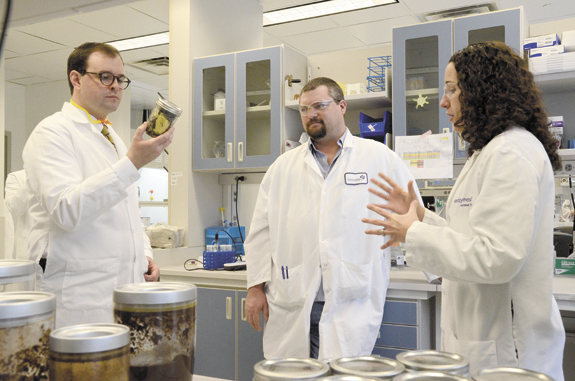 Above, he took a tour of Novozymes with the help of Jason Holmes and Kate Brandon-Sutton. YOUNGSVILLE — Town officials have called a meeting on Monday to publicly discuss and, perhaps, approve a utility transfer agreement with Franklin County. 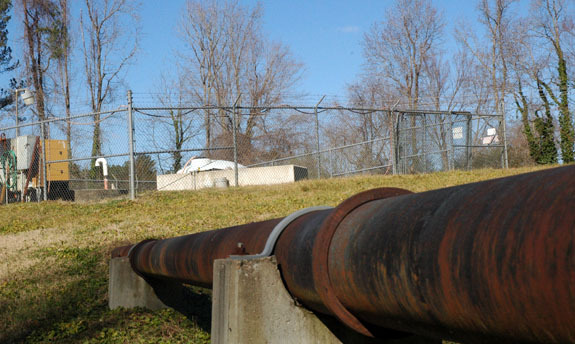 That decision came at the end of a special-called meeting this past Tuesday when staff was given approval to procure the final storage tank easement — essentially the last hurdle to selling Franklin County its water and utility system. LOUISBURG — Franklin County’s legal counsel says county commissioners followed protocols when it denied a special use permit that would have allowed a gun range in a community east of Louisburg. Attorneys for Aaron Byrd and Eric Coombs filed documents in court last month asking a judge to review the procedure the county used to deny them a permit to build a shooting range on Dunn Road. 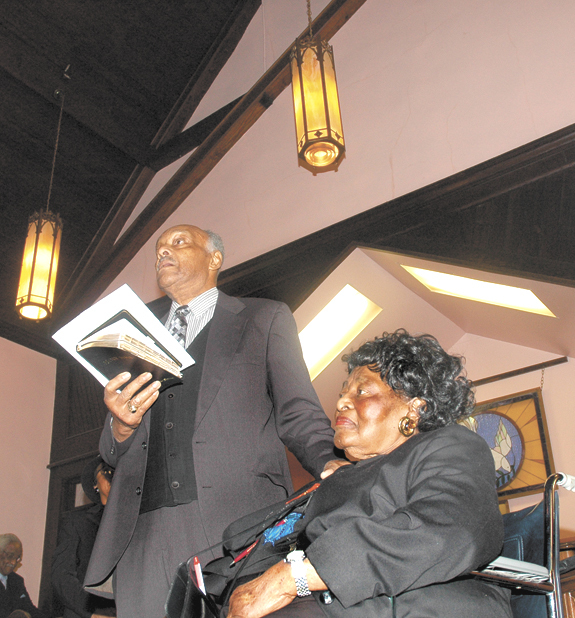 LOUISBURG — During a celebration of the life and legacy of Dr. Martin Luther King Jr., residents also recognized another trailblazer a bit closer to home. The Rev. Walter Yarbrough presented Aileen Rogers with a plaque recognizing her contributions to Franklin County as the founder of REEP, the acronym for a grassroots organization that stands for Recreation Education Economics and Politics. A month into the search — and with a week to go before the application deadline — only one person has expressed interest in filling a vacancy on the Franklin County Board of Education. The seat, which represents District 3 in the northern part of the county, was vacated last month by Dr. Bobbie Richardson who was appointed to fill a vacancy in the North Carolina House of Representatives. GOOD MORNING: A beautiful large, white cat that had apparently taken up residence in one of those tall trees in our front yard out on Terrell Lane several days ago is the latest addition to the Johnson household. The feline was talked down Tuesday afternoon by grandson Ryan White and granddaughter Emma Hester and has since made herself at home inside the house with Momma Jean and me. Granted, it was a tongue in cheek question that didn’t require a serious answer. Which is a good thing since newspapers — especially when the folks who report and write opinion pieces are around ­ can be bastions of the politically incorrect. It’s February and although we’ve had very little winter so far, it’s bleak, windy and more than chilly enough for most of us who are longing for spring as we flip through seed catalogues plotting our garden triumphs months in advance. But, if you’re marking off the days until the last average date for frost, here’s a date you might want to pencil in. 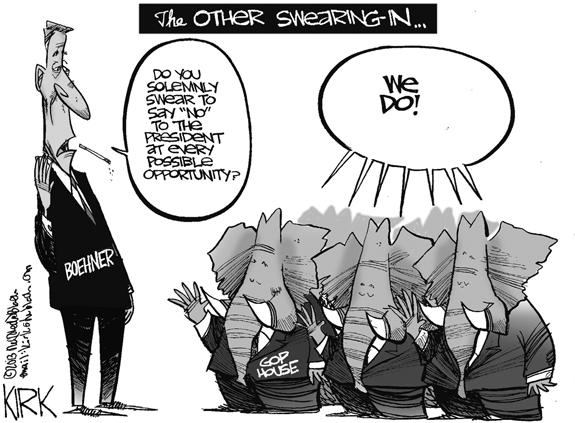 They have much work to do. The report of muskets reverberating from Concord North Bridge has called out to the sons and daughters of Liberty. RALEIGH - Funeral services for Herman Johnson, 75, who died Monday, Jan. 28, 2013, were held Friday, Feb. 1, at Watts Chapel Missionary Baptist Church, with Dr. Harry White officiating. Burial followed in Carolina Biblical Gardens. ZEBULON - Robert Jay Bryant, 37, died Sunday, Jan. 27, 2013. Funeral service will be held at 3 p.m. today (Saturday, Feb. 2) at Heritage Baptist Church. Interment will follow in the Murray-Bryant family cemetery. FRANKLINTON— Gerald Crudup, 62, died Monday, Jan. 28, 2013. Arrangements by Cutchins Funeral Home, Franklinton. LOUISBURG – Mecy Pullen Burnette, 55, died Friday morning, Feb. 1, 2013. A funeral service will be held 3 p.m. Sunday, Feb. 3, at Sandy Creek Baptist Church, with the Rev. Joel Story officiating. Burial will follow in Lancaster Memorial Park. Family will receive friends at the home at all other times. LOUISBURG - Annie Mae Burnette, 91, of Louisburg died Tuesday, January 29, 2013, at Hillside Nursing Center. The daughter of the late Zeb and Sarah Collins, she was also preceded in death by her sons, Johnny Burnette and Howard Gupton; her brothers, William and Robert Collins; and her sister, Lucy Moss. LOUISBURG - Carrie Cotten Goodwin, formerly of 104 Dickens Avenue, Louisburg, NC and a resident of Louisburg Manor, died in Louisburg Nursing Center on January 30, 2013. ROCK ROLLS FOR TWO. 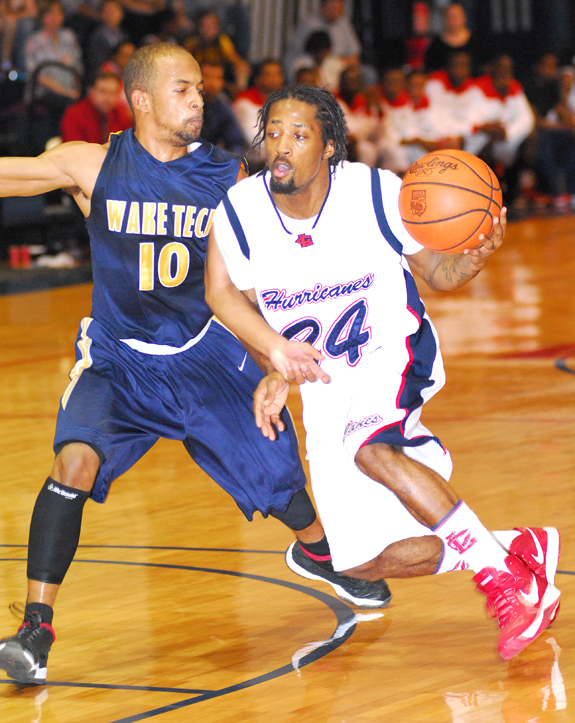 Louisburg College’s Kevin Williams (right) heads for two points during the Hurricanes’ home matchup with Wake Tech CC. LOUISBURG -- The lights have literally gone out on Louisburg College’s quest for a perfect men’s basketball season. LC’s much-awaited showdown with Wake Tech ended up taking 24 hours longer than expected as a power outage interrupted the contest early in the second half Wednesday night at the Taylor Center. DETERMINED. 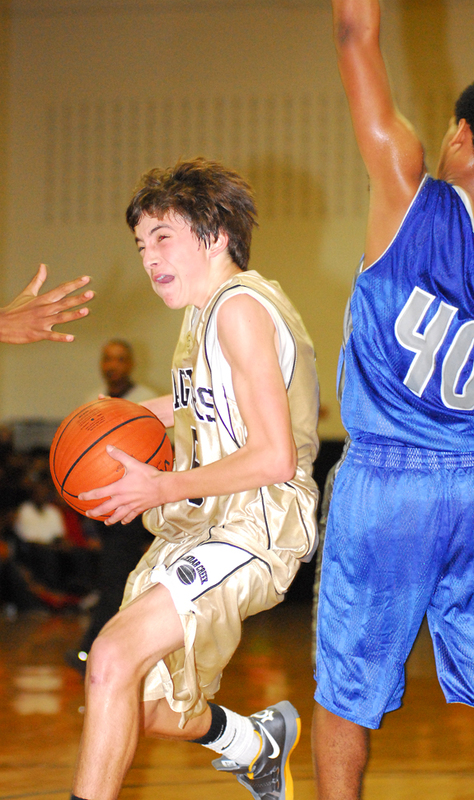 Cedar Creek’s Smith Gupton won’t be denied on his way to two points against Terrell Lane. YOUNGSVILLE -- Nobody seemed to mind that the first-place trophy was nowhere to be found following the Middle Athletic Conference Boys Basketball Tournament Championship Game. The kids from Cedar Creek were more than happy to raise the runner-up hardware in celebration -- before it was officially presented to the Jaguars’ rival Terrell Lane. JOB WELL DONE. 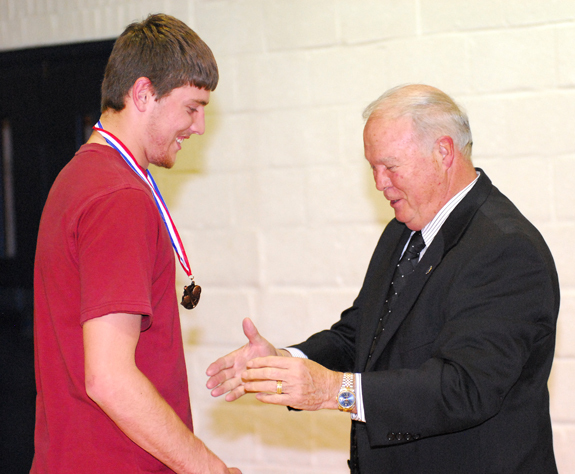 Louisburg College baseball player Jeremy Coburn, a Louisburg native, receives congratulations from Don Fish at Wednesday’s Hurricanes Scholar-Athlete Awards Ceremony at Taylor Center. 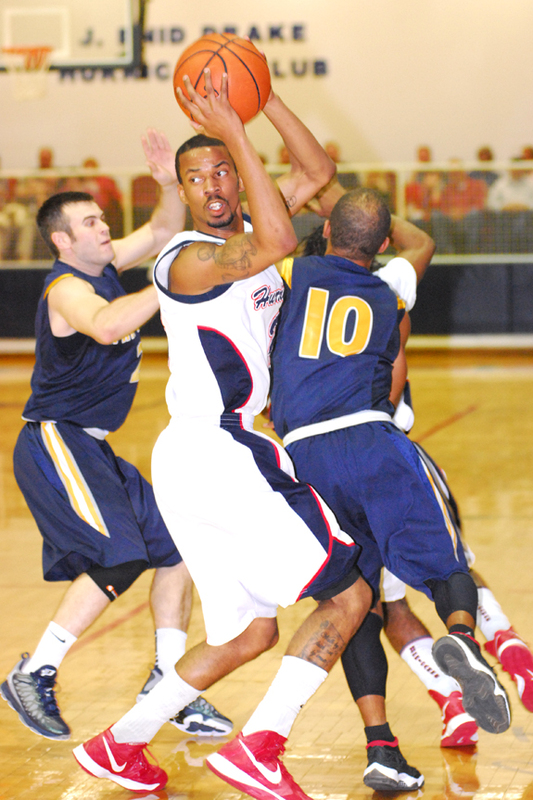 LOUISBURG -- The number 99 proved to be a lucky one Wednesday at Louisburg College. That’s how many students were honored at LC’s annual Hurricanes Scholar-Athlete Awards Ceremony, which was held between men’s and women’s basketball games at the Taylor Center. In order to earn consideration for a medal, students needed to post at least a 3.0 grade-point average in either the 2012 Spring or Fall Semesters -- or both. And then there was one in Johnathan Alston’s quest to find a college football home. Alston, Bunn’s standout wide receiver and defensive end, verbally committed Friday to continue his career at North Carolina State University in Raleigh. Alston had several Division I offers, but eventually narrowed his choices to NC State and UNC-Chapel Hill. TEACHING MOMENT. 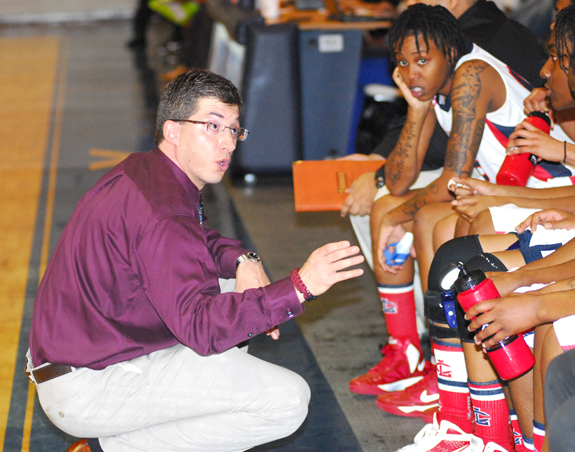 Louisburg College women’s coach Brett Vana instructs his team during Wednesday’s home hoops decision against Region X rival Guilford Tech. LOUISBURG -- Louisburg College is still the team to beat in the National Junior College Athletic Association Division II Women’s Basketball Poll -- and folks across the country are starting to take notice. At least seven representatives from four-year schools were in attendance at Wednesday’s Region matchup between the host Lady Hurricanes and Guilford Tech. 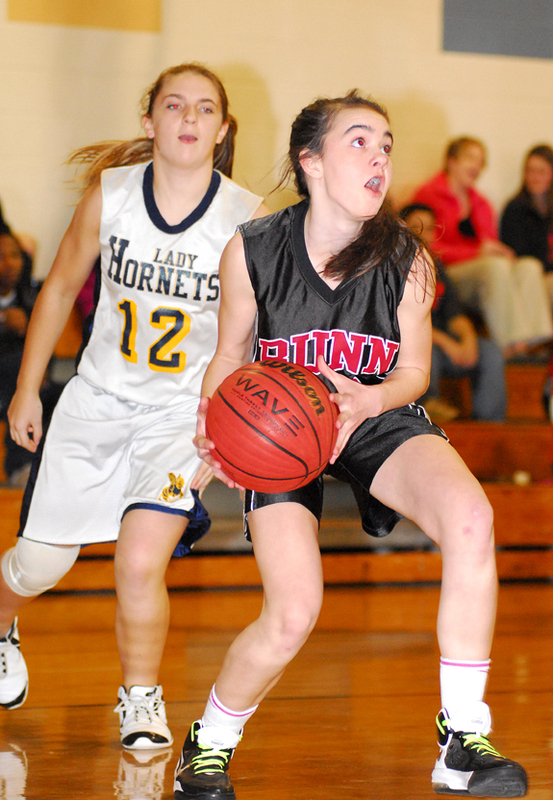 Franklinton at Bunn 6:30 p.m.
Roanoke Rapids at Louisburg 6 p.m.
AMANDA IS ON HER WAY. Bunn’s Amanda Dean (with ball) drives to the bucket during her team’s victory over Hawley at Wednesday’s MAC-9 Basketball Tournament. YOUNGSVILLE -- If pedigree meant anything, the Bunn Middle School Lady Bulldogs were destined to have a title-caliber girls basketball squad this season. At least four of the BMS players have older siblings who are current or former players at Bunn High School -- Bernadette Cooke (Montrel and April Cooke and Tracy Smith), Ikesha Little (Freddy and Marcus), Jasmine Neal (Chepirah) and Amanda Dean (Thomas). WARRENTON -- After working hard to draw even with Corinth Holders in the Northern Carolina Conference boys basketball race, the Bunn Wildcats fell back into second place just 24 hours later. 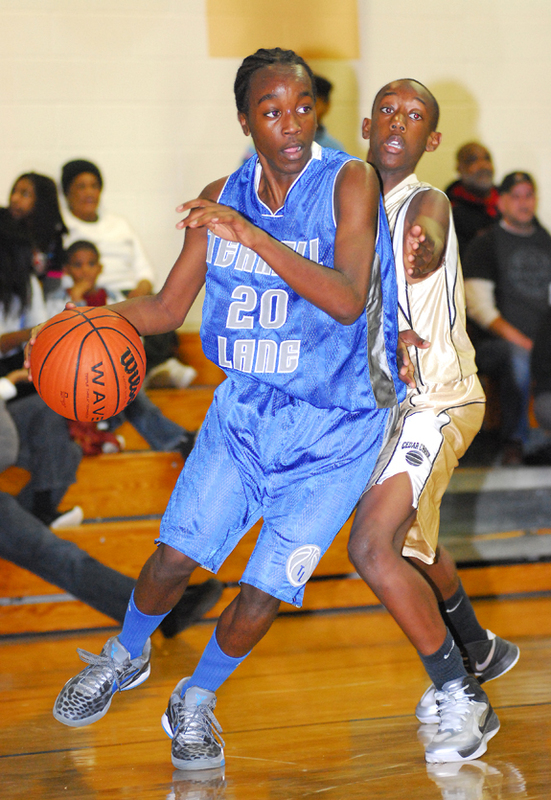 Monday, BHS stopped Corinth Holders to move into a first-place tie with the Pirates. After the tough victory, BHS head coach Gerald Melton was concerned heading into Tuesday’s expected challenge on the road at Warren County. HENDERSON -- It’s been a quick ascent for the first-year Louisburg High School swim program -- especially for LHS’ Girls 200 Medley Relay Team. Louisburg’s foursome of Kiersten Sneeden, Peyton Joyner, Shelby Cash and Kelsey Harris qualified for the Class 2-A East Regionals, which were held Friday at the Triangle Aquatic Center in Cary. 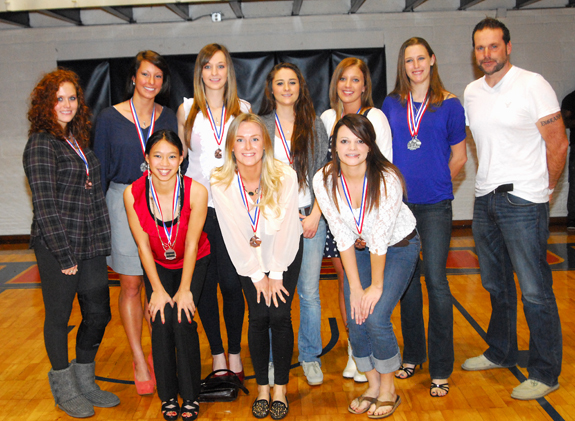 SOCCER SCHOLAR-ATHLETES. Louisburg College women’s soccer coach Andy Stokes poses with his honorees at Wednesday’s Hurricanes Scholar-Athletes Award Ceremony at Taylor Center. Terrell Lane’s Malik Kearney makes an aggressive move to the basket during Thursday’s MAC-9 boys title game against the host Cedar Creek Jags. 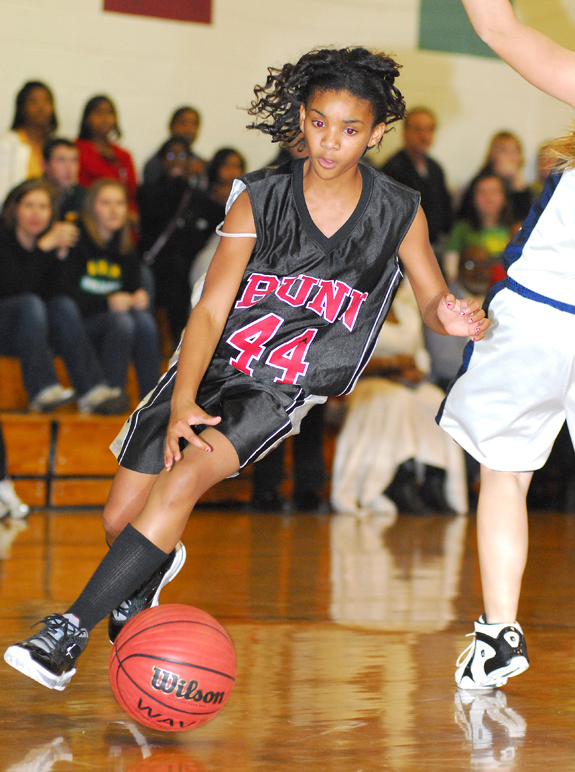 Bunn Middle School’s Ikesha Little is the younger sister of Bunn basketball legends Freddy and Marcus Little. Ikesha helped the Lady Bulldogs take the MAC-9 Tournament Championship on Thursday with a decision over the Hawley Lady Hornets. 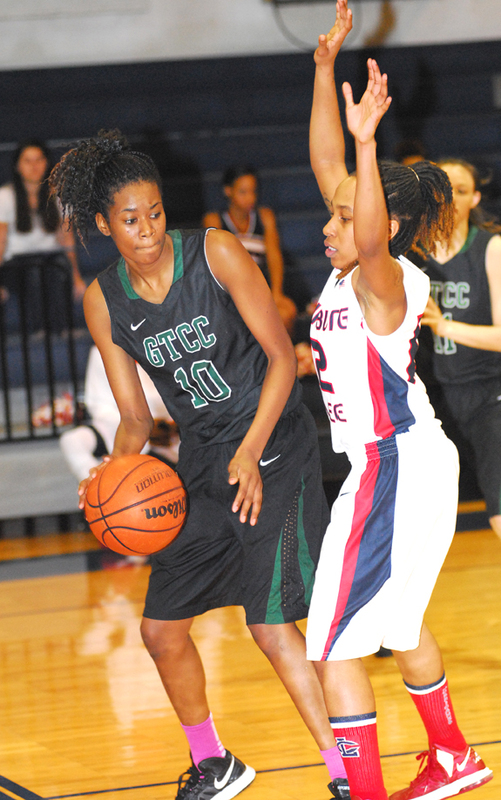 Louisburg College’s Olivia Gaines (right) defends Guilford Tech’s Carnique Marks during Wednesday’s contest. Louisburg College’s Antonio Robinson tries to avoid a pair of Wake Tech defenders during Wednesday’s Region X basketball game at Taylor Center. 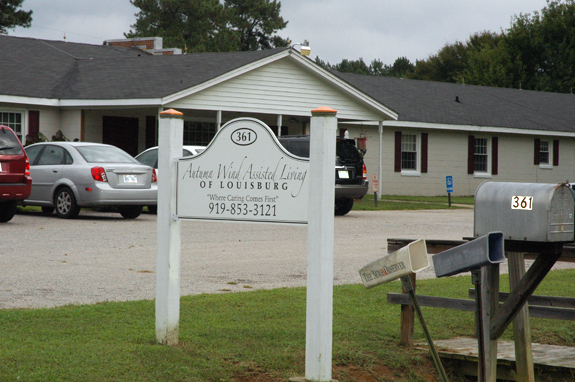 LOUISBURG — Franklin County law enforcement confirmed this week that the State Bureau of Investigation has assumed control of an investigation into allegations of financial wrongdoing by an assisted living facility. Witnesses said both Franklin County deputies and SBI agents were at Autumn Wind Assisted Living Facility on Tuesday. A Louisburg man who gave authorities the slip in a cold, dank swamp was misidentified in a previous edition. According to an amended report by Dep. Samuel Zuniga, he spotted a red pickup truck on N.C. 561 heading toward Halifax, loaded down with scrap metal. The driver, who identified himself as Christopher G. Solomon, 25, was not wearing a seat belt — which prompted the stop. This year’s festival would have been the 42nd year it has been held in Spring Hope. Sylvia Williams, a member of the Chamber who also volunteers with the festival, said manpower was the biggest issue in not holding the festival.